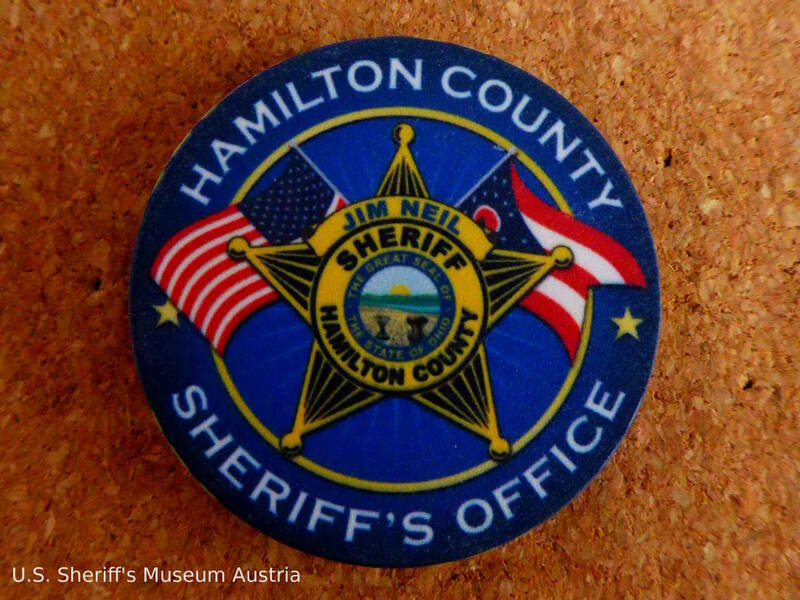 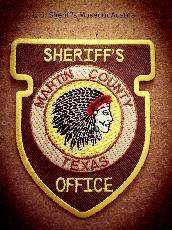 Martin County Sheriff's Office patch - Texas; Martin County become one of West Texas' major oil producing Counties. 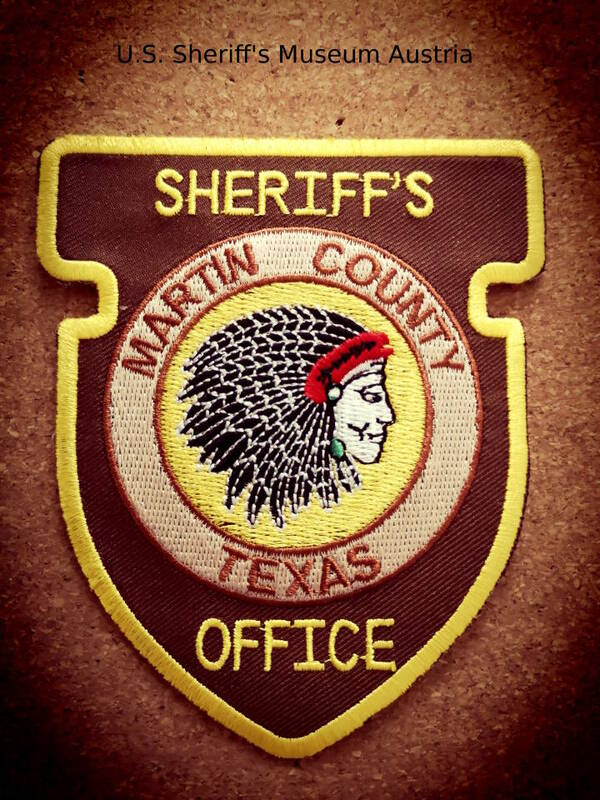 It's named for Wylie Martin an early settler. 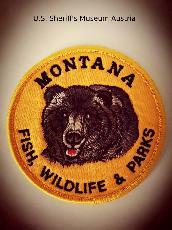 Montana Fish, Wildlife & Parks patch. 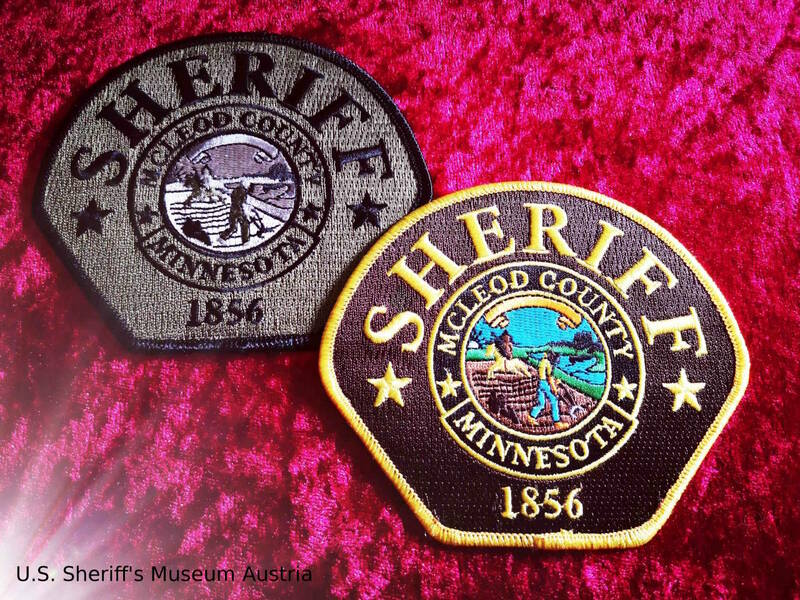 The patch shows a Grizzly bear. 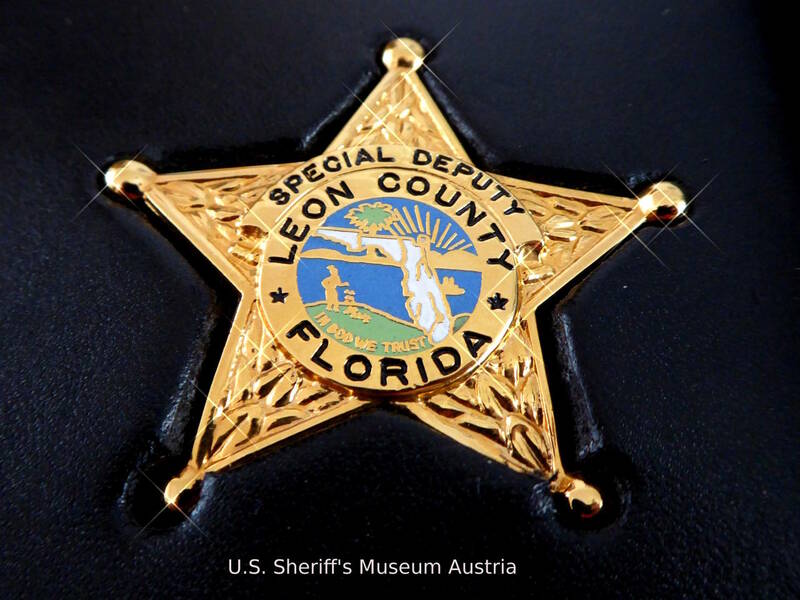 Only about 1,500 grizzlies are left in the lower 48 states. 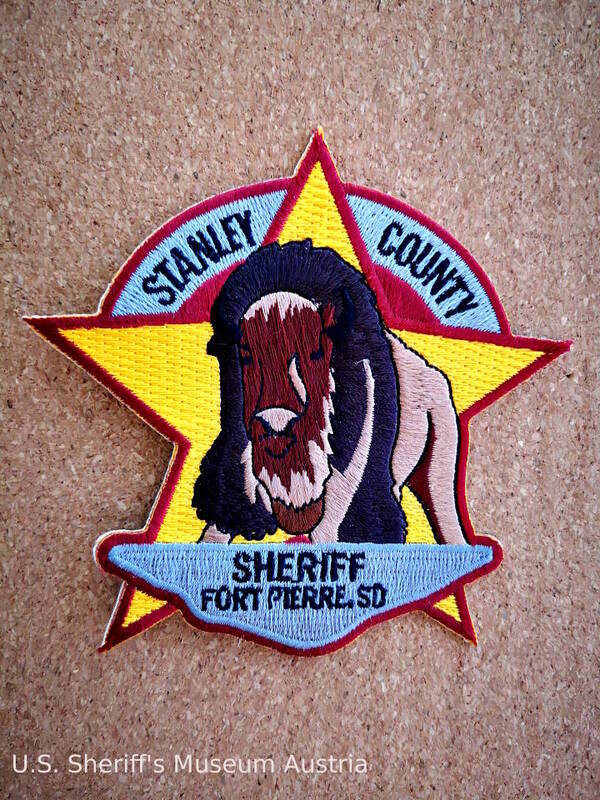 About 800 of these live in Montana. 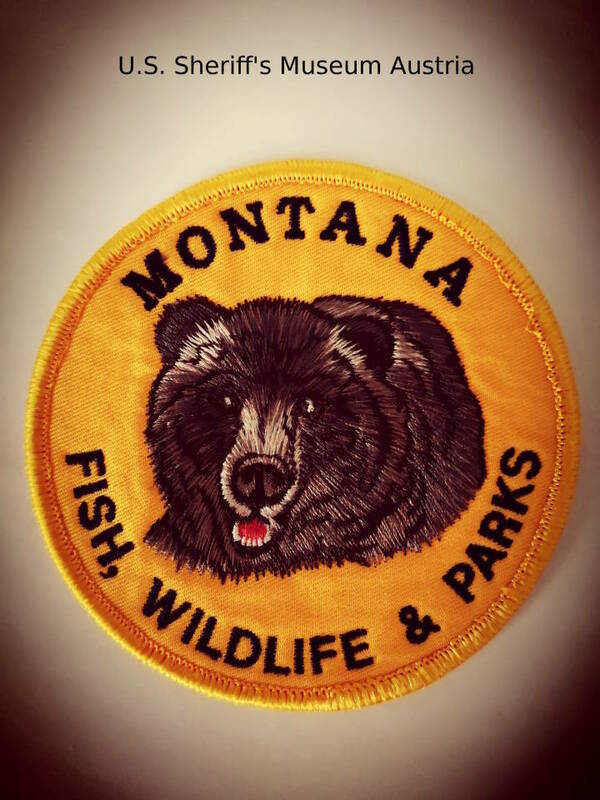 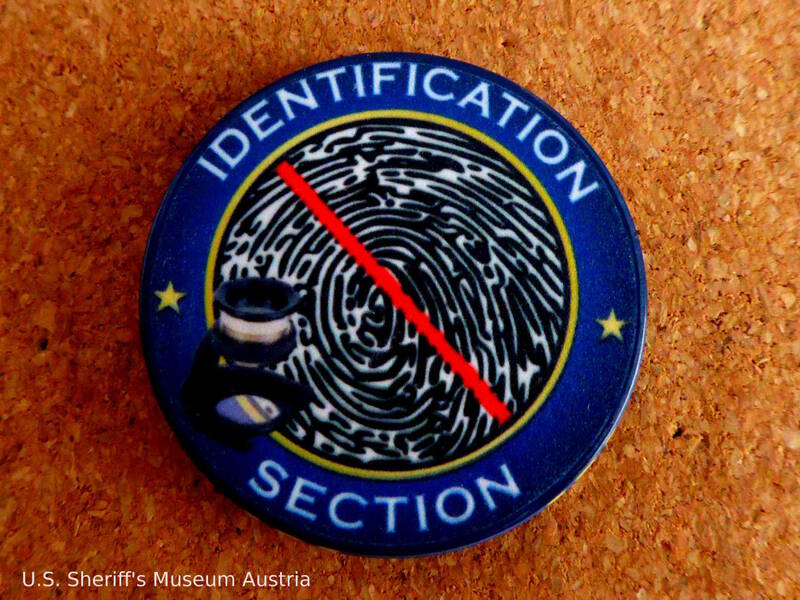 The Montana Fish, Wildlife & Parks agency was founded in 1895. 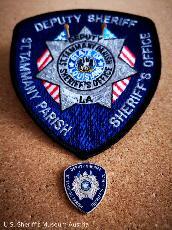 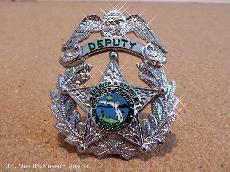 Kings Co. Sheriff's Department - California - pins. 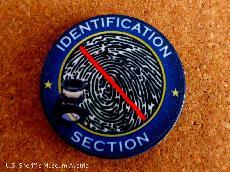 Dive Unit (W.R.U. 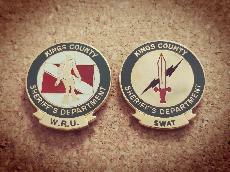 ): The first Kings Co. Sheriff's Dept. 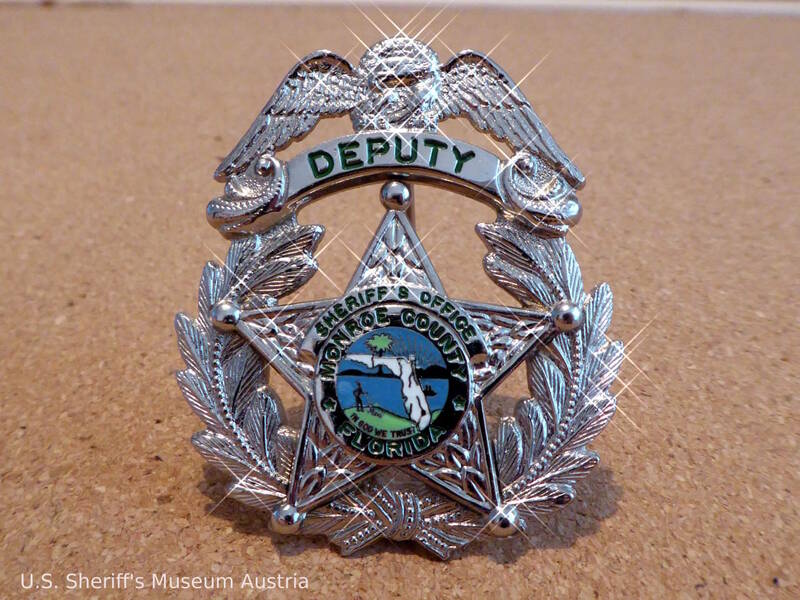 Dive Team started in 1979. 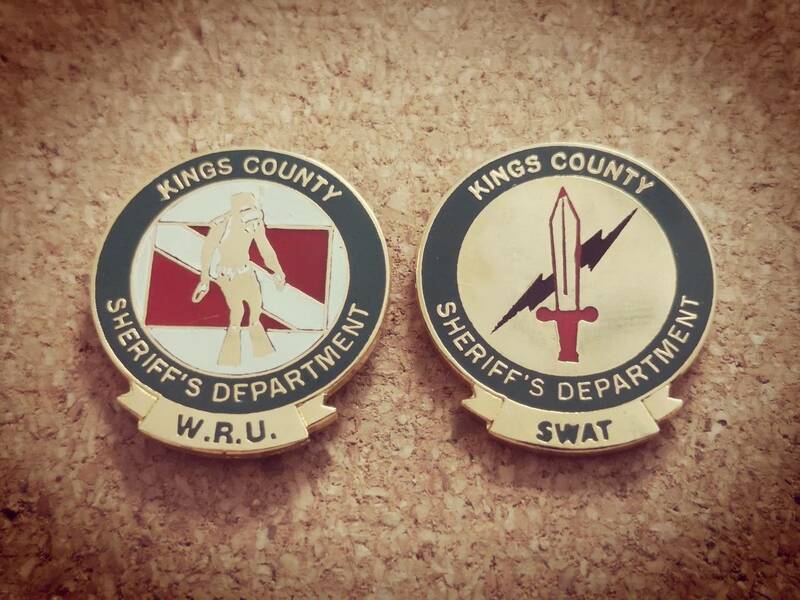 SWAT: Kings County Sheriff's Dept. created its Special Weapons and Tactics Team in 1986. 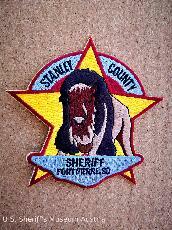 Ormsby Co. Sheriff's Dept., Nevada, cheesecloth patch. 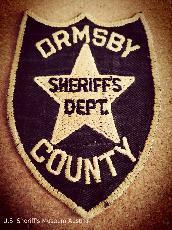 Ormsby Co. was a Nevada Co. from 1861 until 1969. 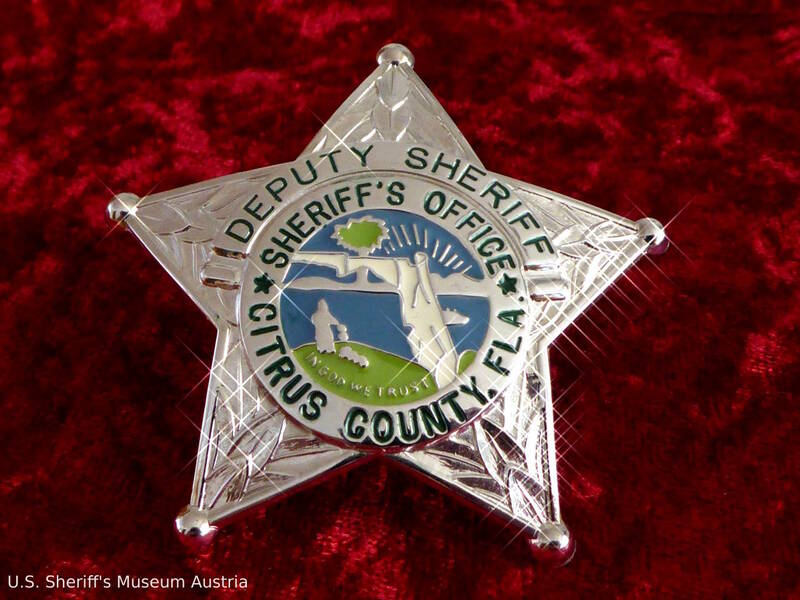 Now it's incorporated into Carson City County. 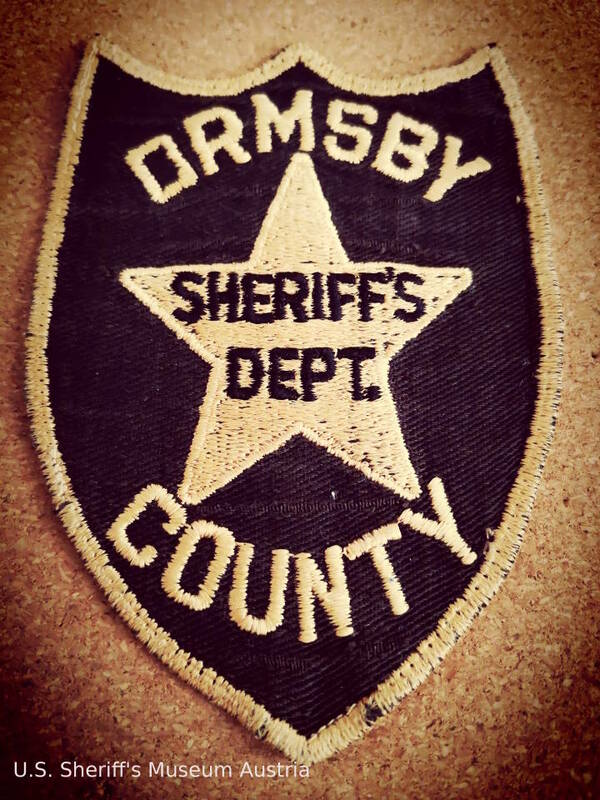 Robert Humphrey was the last Sheriff of Ormsby County and the first Sheriff when the County and City consolidated. 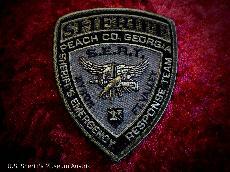 Peach Co. 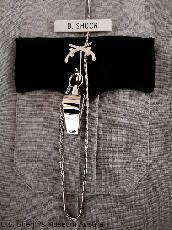 SO - Georgia S.E.R.T. 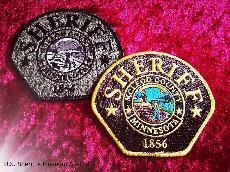 patch. 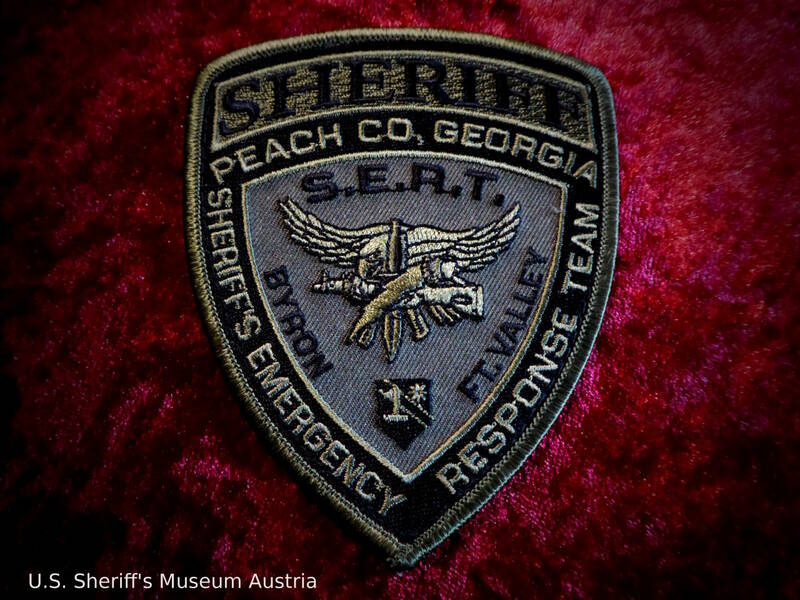 The Byron Police Department and the Peach County Sheriff's Office have a joint Sheriff's Emergency Response Team (SERT). 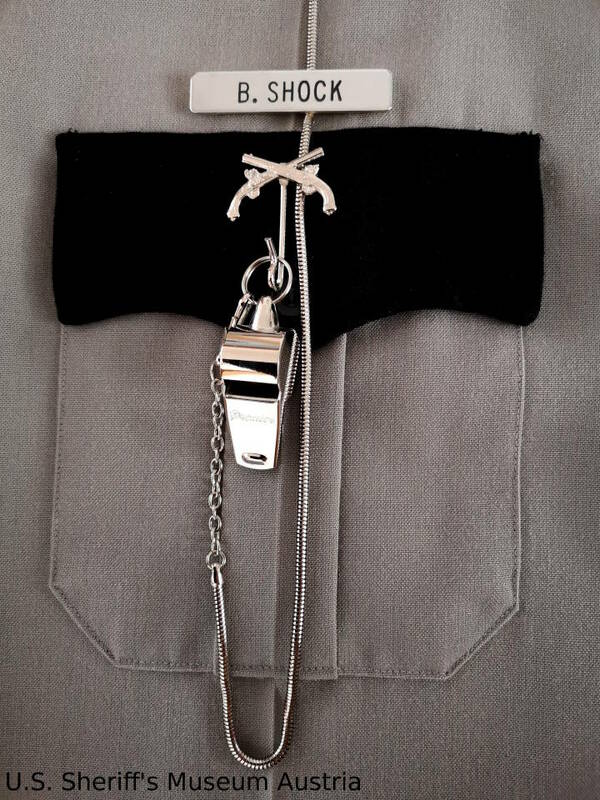 The team consists of 24 officers. 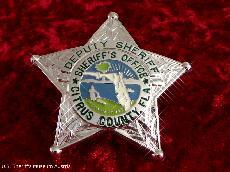 The SERT Team is utilized during critical incidents. 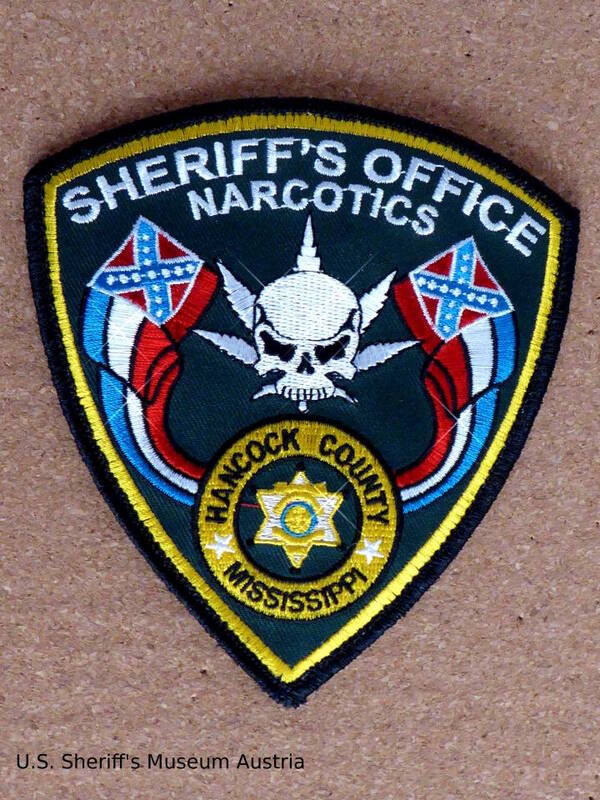 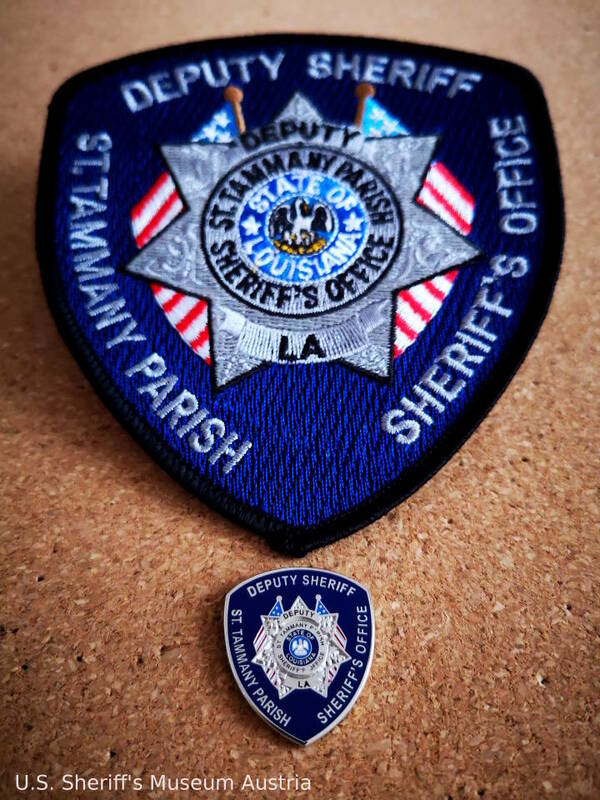 Hancock Co. Sheriff's Office - Mississippi; Narcotics patch. 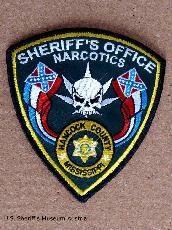 The Hancock County Sheriff’s Office Narcotics Div. 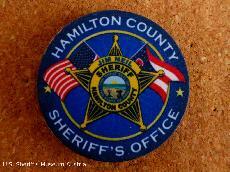 is specifically trained in detection, investigation and prosecution of crimes involving illegal narcotics.